Walmart is today unveiling a new search engine named “Polaris” which now powers Walmart.com, as well as the company’s mobile web and mobile apps, and offers a 10%-15% increased likelihood that a customer will complete their purchase, the company claims. The engine was built by a small team of fifteen engineers within Walmart’s @WalmartLabs division, an internal group of technologists which has grown in recent years through the acquisition of startups like Kosmix, OneRiot, Grabble, Small Society, and others. Specifically, Polaris takes advantage of Kosmix’s semantic technology, which includes something it once called the “Social Genome” – a way of enabling discovery using algorithms that rank results via social signals from around the web. Kosmix’s Social Genome technology was used in an earlier @WalmartLabs creation known as “Shopycat,” a social-gifting platform that debuted just before the 2011 holiday season as a Facebook application. With Polaris, that same technology has been expanded upon in order to help return better search results on Walmart.com’s e-commerce and m-commerce destinations. Algorithms take into consideration the number of “Likes” a Walmart product it has on Facebook, and it will soon also look at the number of pins it has on Pinterest, as well as user ratings and reviews when ranking results. For now, reviews are sourced from Walmart itself, but further down the road, Polaris may pull in reviews from external properties through partnerships with review providers. It’s a notable development for Walmart to even consider using the “signals” from the young and still unproven social network Pinterest, which is often seen to drive traffic, but is increasingly questioned on its ability to convert clicks to sales. In fact, Amazon-owned Zappos.com recently found that Pinterest failed to impact sales following its launch of a feature which suggested products based on Pinterest posts. But in that case, there may have been too much emphasis on only Pinterest, whereas in Walmart’s engine, Pinterest would be just one of many signals – similar to how Google’s PageRank looks at many signals to return its list of blue links. What that means, in layman’s terms, is that when a user searches for “garden furniture” on Walmart.com, the engine knows that equates to the category “patio furniture,” and can display results from that product group as well. 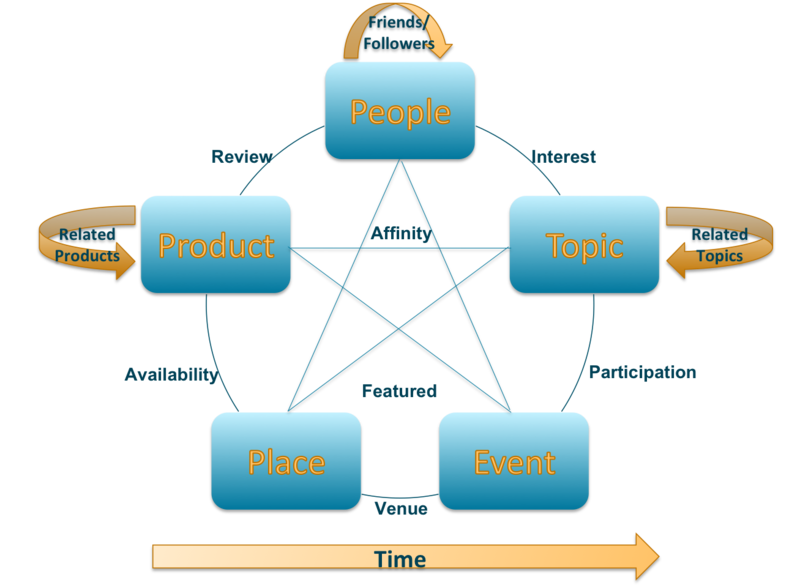 It also helps to categorize product descriptions in order to extract more meaning out of the text provided. For example, it can pull out an attribute “14 Karat” from a description of a gold necklace, and then that attribute becomes searchable. The third key piece to Polaris is what Walmart calls “engagement scoring.” This was not built using the technology acquired from Kosmix, but was rather designed in-house using Walmart’s own internal metrics. The scoring is related to what Walmart shoppers actually do following a search query – that is, what they click on, add to cart, and what they purchase. This helps train the system to know that a customer searching for “house” is more likely looking for something related to the TV show “House,” as opposed to “dog house” or “doll house,” for example, or that the word “flats” shouldn’t have the “s” removed in order to return results about “flat screen TVs” but should rather present a selection of shoes. Although the announcement is being made today, Polaris has actually been up-and-running for about a month. The rollout originally began with a small bucket test where small portions (5%-10%) of Walmart.com traffic was directed over to the next engine. 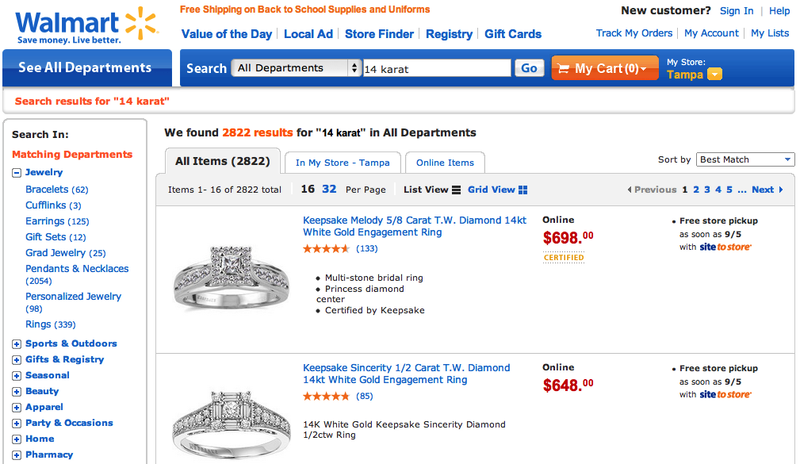 Now the engine is live on all Walmart’s e-commerce and m-commerce offerings in the U.S. The metric related to the increased purchase likelihood (the 10%-15% increase reported above) was made after rollout was at 100%, to be clear. Going forward, Walmart is working to roll out Polaris to international markets, starting first with Brazil then slowly to the 26 other countries Walmart reaches worldwide. One to two of these countries should be live within the next 12 months or so.